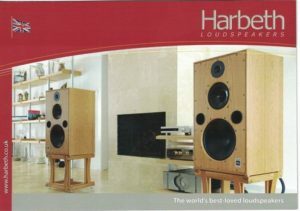 Shown in cherry, supporting a pair of Harbeth Super HL5 speakers. 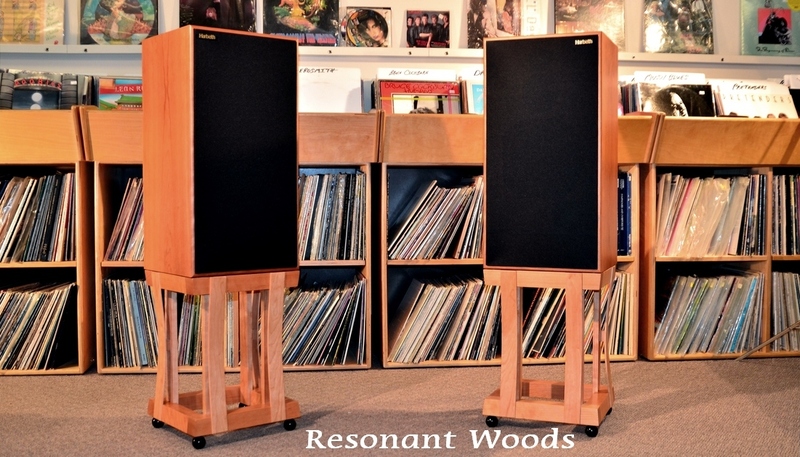 These popular stands, featured on the cover of Harbeth brochures, have been redesigned! New Curve series stands now feature mortise and tennon joinery in the top and bottom platforms, which remain open in the center. Stands have also been redesigned for better manufacturability, reducing cost over the previous series. 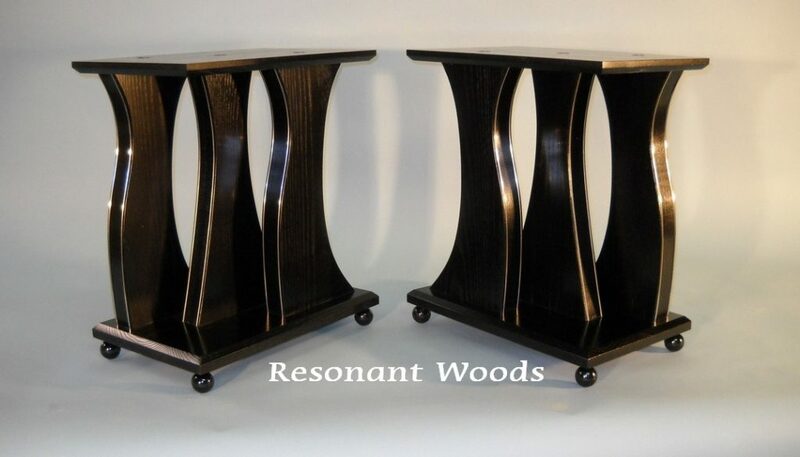 Curved series speaker stands are a graceful low mass solution providing a beautiful perch for your speakers. Although low in mass, these stands are very rigid due to the double triangle design. 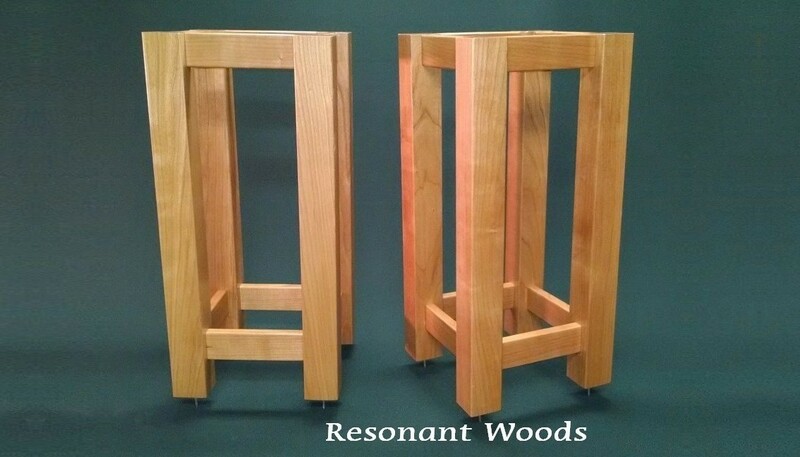 Stands are available in cherry, maple, and ash (black) . 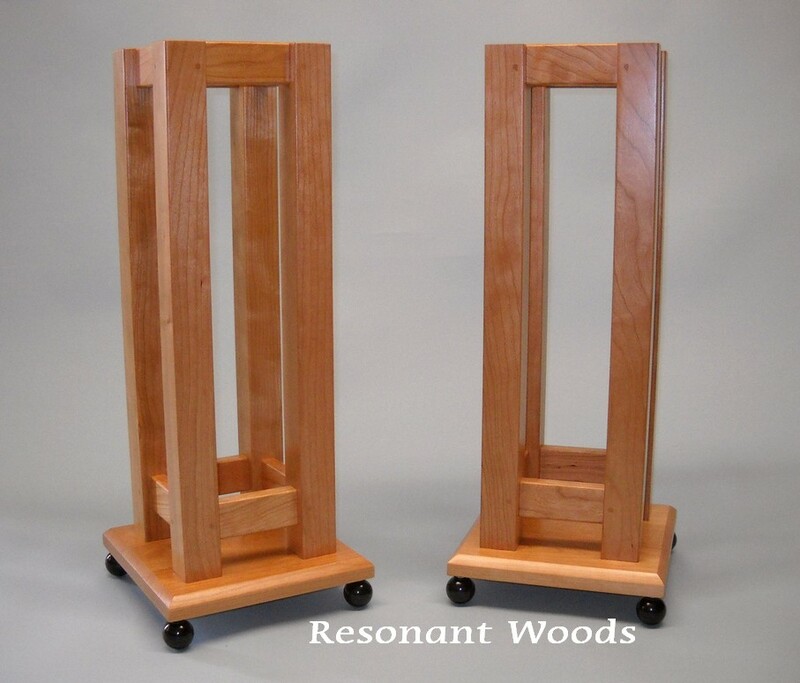 Stands may be custom ordered to be constructed of any available wood or other material (metal, plastic, etc.) or combination. Stands may also be custom made to fit almost any speaker. Stands are shipped fully assembled. 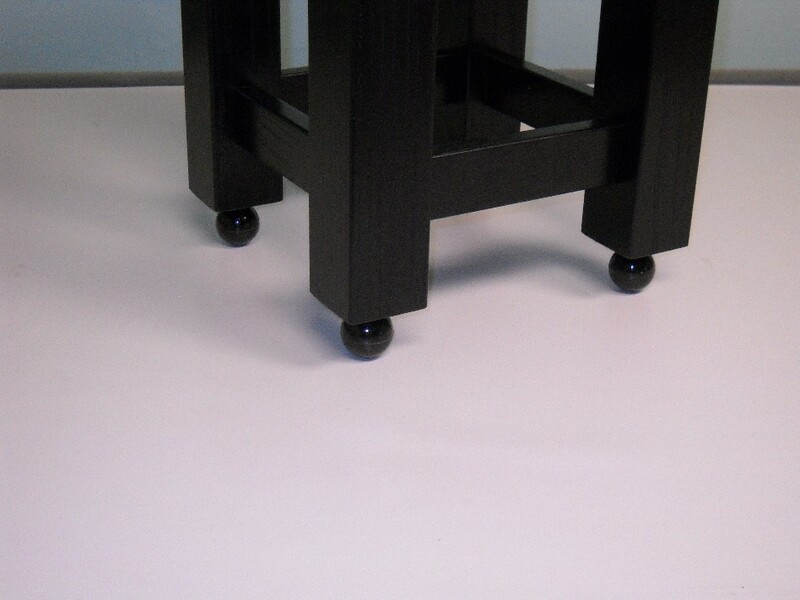 Stands ship with ball feet that are kind to your floors and do not pose a puncture hazard, yet are tonally on par with a spike foot. Resonant Woods is a custom shop and is able to design and build to your specific needs. These stands are as much art as stand. Walking Woman stands were designed to give a graceful sensual appearance. Pillars were designed by looking at the silhouettes of women walking in long skirts, from the waist down. They represent the three steps of a graceful walk, shrouded by fabric. Pillars are staggered in opposite directions to give symmetry to the pair. Stands are finished in tuxedo black, highlighted with a dual chrome strip on the face of each pillar. Strips are a nod to the musical world, made from fret wire used in the manufacture of guitars. Although the pair pictured are not of the dimensions of a Harbeth speaker, they will be available for the Harbeth 40.X. Stands are shipped fully assembled. Shown in cherry in a M30.1 size. Linear speaker stands are an open design allowing the bottom of the speaker to be exposed, often preferred by Harbeth enthusiasts. 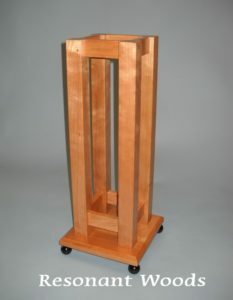 Legs of this stand are 2 1/4inches square and are attached through a stretcher assembly mortised into each leg. 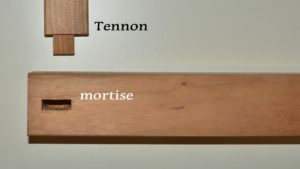 Mortise and tennon joinery is used in quality furniture to provide a secure tight joint. This is robust and rigid stand, and is the best value for large format speakers that we offer. These stands are shipped fully assembled. 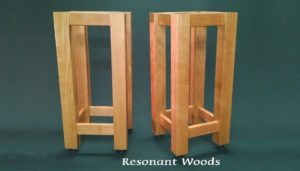 Stands are available in Cherry, maple, ash, black or natural. 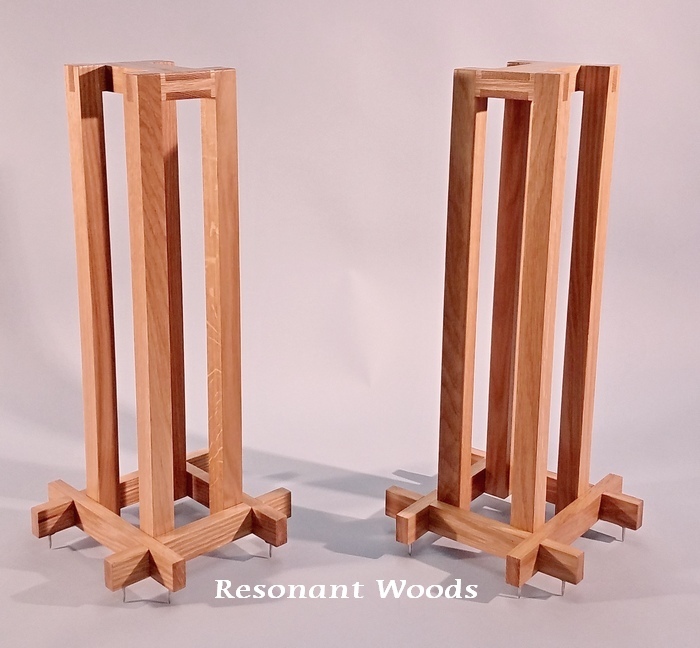 Stands may be custom ordered in any available wood species. Linear P3 stands give a more formal presentation of the P3 speaker. The platform base gives a smaller speaker increased stability, reducing tip over possibility. 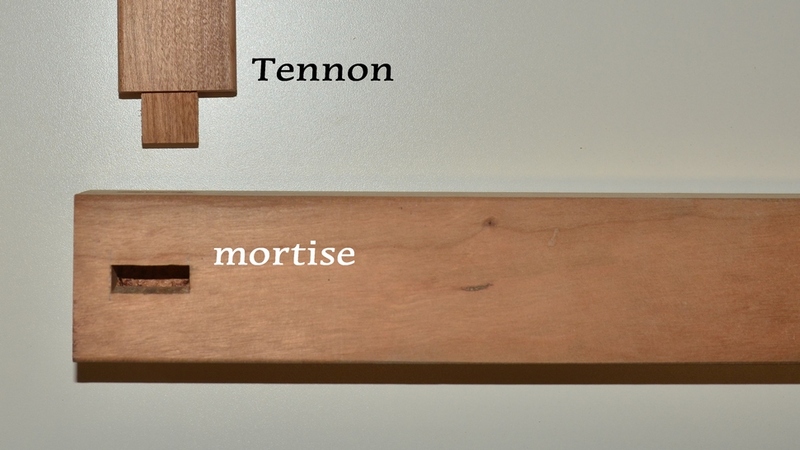 As with the Linear II stand, mortise and tennon joinery is used for rigidity. Leg dimensions are 1.75 inches square for proper scale. Ball feet are standard. Stands are available in ash(black), cherry , maple and black walnut. Other species available. Craftsman style furniture has been popular since its introduction in the early 1900’s. 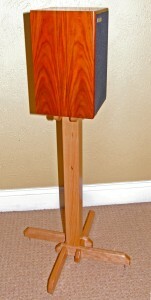 This stand was a custom commission that I have decided to add to available stands for small speakers. Although this stand is constructed of white oak, with spikes. 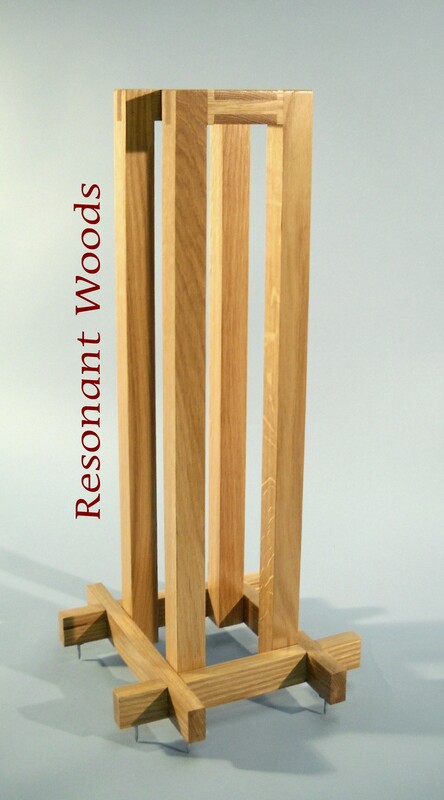 The Resonant Woods craftsman stand will be available in ash (black), cherry, maple, and black walnut. Four ball feet per stand are standard. 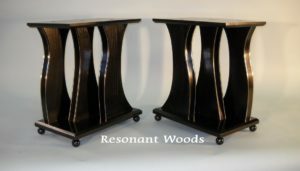 This is a new product for Resonant Woods and pictures of the current product are not yet available. Site will be updated as soon as pictures are available. The small speaker stand is designed to support a small speaker while providing a reasonable size footprint. This is done with minimal visual impact while at the same time providing visual interest. 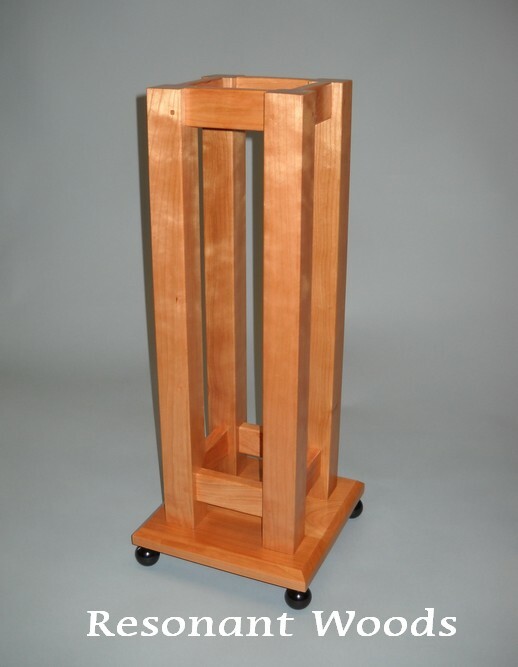 This is also a solid wood stand, shipped in ready to assemble format. Stands are available in cherry, maple and ash, black or natural. 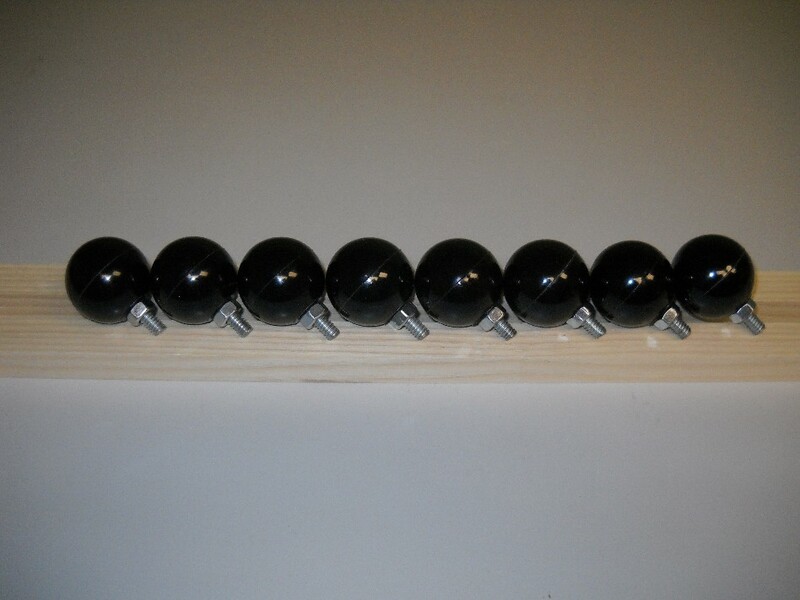 Ball feet are phenolic round feet with a 1/4 – 20 mounting stud to screw into your stand. Feet provide a small contact point to minimize transmission of vibration to the floor. While not as effective as spikes, they are much kinder to the floor and should especially be used when small children are in the household. Ball feet may be used on any light to medium weight equipment that has 1/4 – 20 mounting threads.